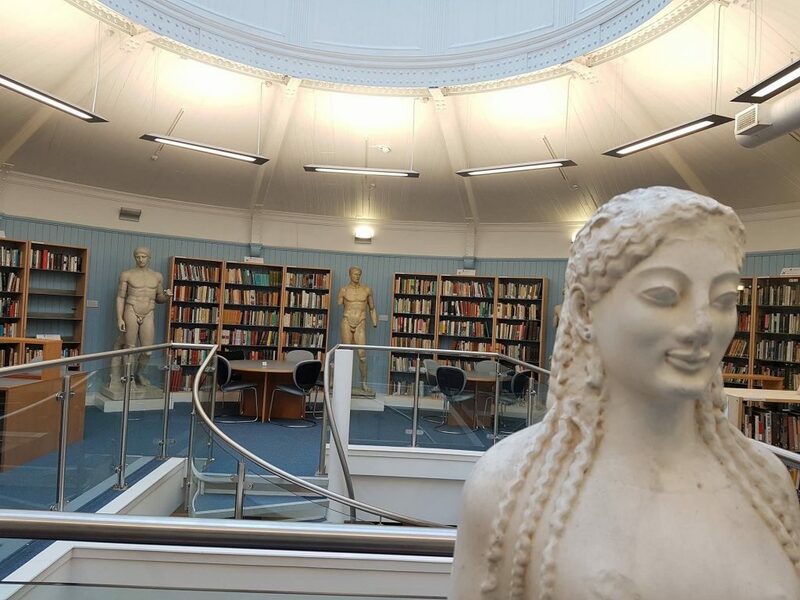 Today’s blog post is a guest post from Aimee Fletcher, SRR Co-ordinator, about the superb book collections available to staff and students from HCA in the Student Research Rooms (SRR). At the School of History, Classics and Archaeology (HCA) we are fortunate to have our Student Research Rooms (SRR). This is a space which is not only a study space, it is also home to the School’s personal book collections. All of these collections are vast and have come from significant academic figures, personal collections which were donated to the school, and have continued to flourish thanks to the tradition of donating books. Within some of these collections are books with have been passed down by important figures of HCA’s history at Edinburgh. Individuals such as Jim McMillan, a European historian and previous head of the School; the Sellar and Goodhart collection, which is named after two of Edinburgh’s most influential classics professors and Jim Compton whose American history collection of 2,000 books boasts some of the only known copies of certain publications of its kind in Scotland. The collections we have are unique and are looked after and made available to borrow by twenty volunteers who are found at the volunteer desk on 2M (10am-6pm, Monday-Friday).